Happy Thanksgiving!! I'm thankful that such an old game still has such a great community dedicated to it! 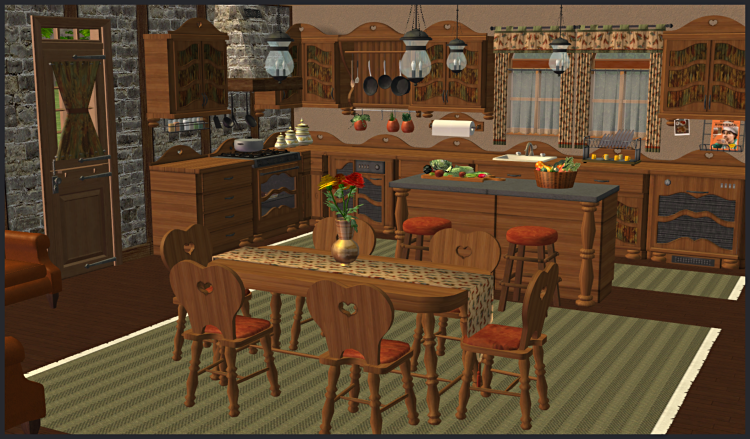 I've slaved an oldie-but-goodie set (I don't think anyone else had done this), Wood for Sims' Bavaria Kitchen and recolored it in fall textures. I also slaved the 2x1 and 1x1 tables from the dining set and recolored them and the dining chair to match. 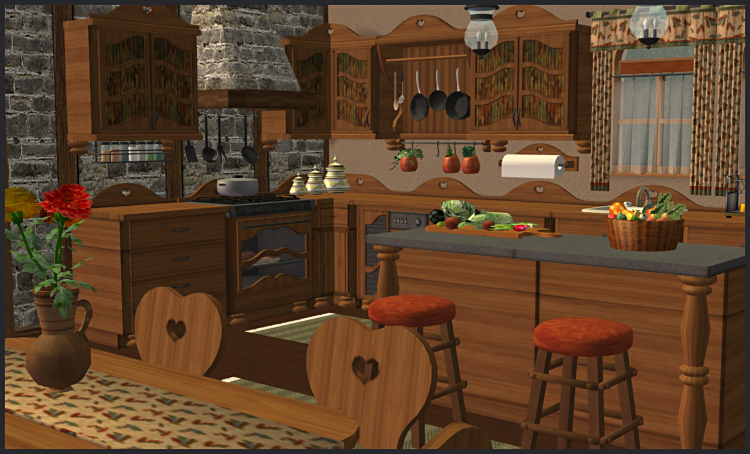 Finally, I added a matching recolor of VitaSims Cottage Kitchen Buffet. Meshes have all had TXMTs changed so recolors will all match and the Buffet has been recategorized so it's under Surfaces>Shelf instead of Deco>Sculpture. 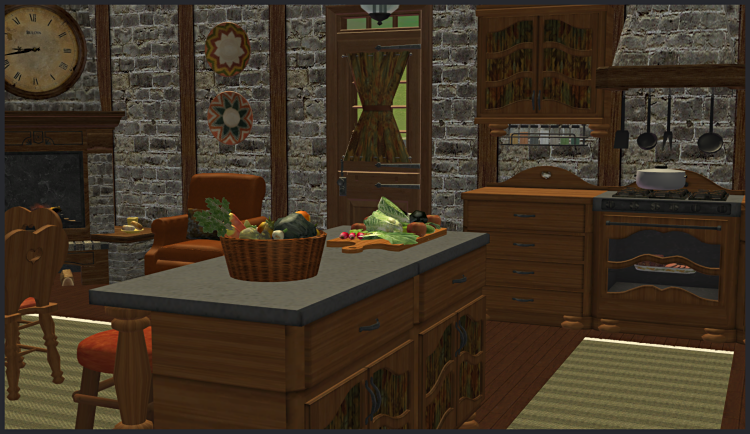 This is lovely -- and I am so thankful for the many talented creators still making and sharing thins for Sims 2!!!! Sounds lovely! I can't wait...hope you will share soon! The white RC sounds awesome! Thank you!! !